The success of your business, while it can be attributed to your hard working employees, can be majorly affected by strategic decisions and planning. Being able to recruit and retain top talent will be essential to achieve the vision and success you have for the company. Top talent requires top pay. Creating a benefits package that will incent your key executive to perform and will keep him loyal to your company and its vision. Upon retirement, this same benefits package can help supplement retirement income. An important aspect for a business is acquiring and maintaining first rate talent to improve the success and achieve its vision. In today’s competitive workforce one of the most desired attributes about a company that a candidate is looking for is the company’s offered benefits program. 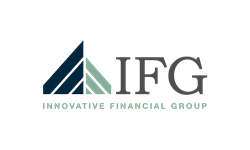 At Innovative Financial Group-Atlanta, we will evaluate your business to ensure you can attract the talent needed by offering a properly structured executive compensation plan. From designing, implementing and confirming proper reporting and disclosure of executive pay and benefits. Contact us today for a complimentary conversation to learn more about each type and which might be right for you.